Do you want to learn more about the program, or have questions about eligibility, admission requirements, or your application? Call us at 604.822.8412 or email dapadmissions@sauder.ubc.ca to schedule an appointment with an admissions advisor. If you're unable to attend in-person, we can schedule a telephone appointment. 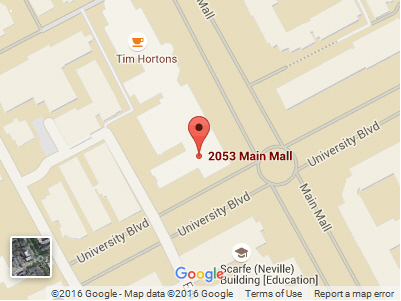 Our office is located in the Henry Angus Building, room 247, on the second floor, at the southeast corner of the building.